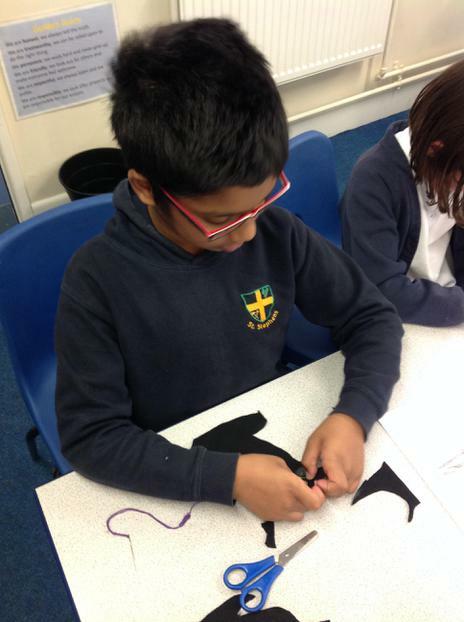 Welcome to 'Make do and Mend'. 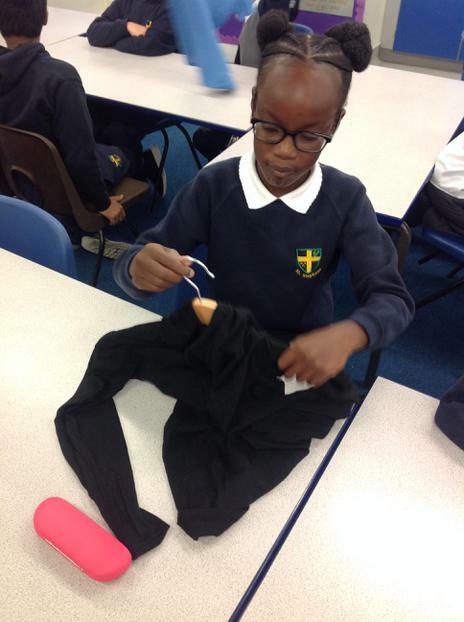 Here we learn all about how to sew properly! 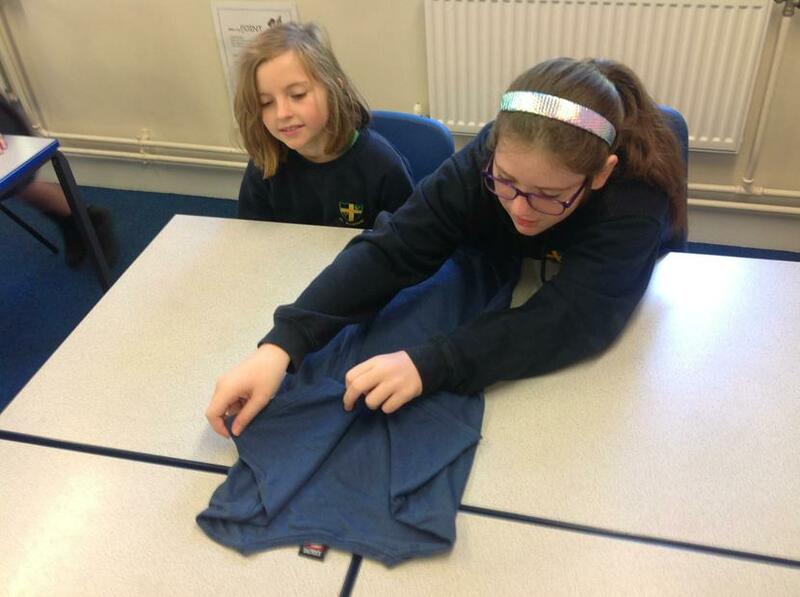 Our day began with firstly learning how to fold our clothes properly to make sure they are neat with minimal creases. 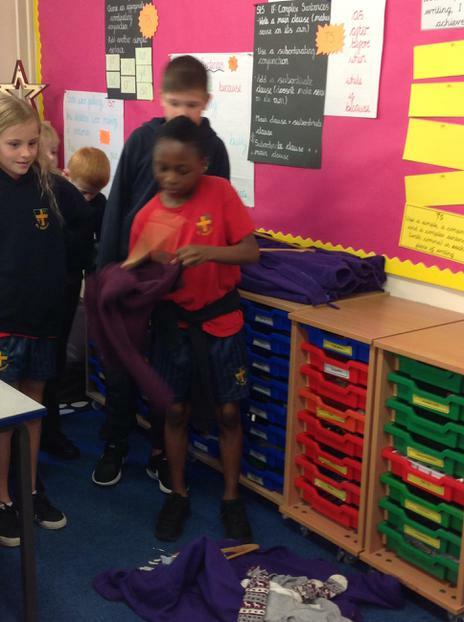 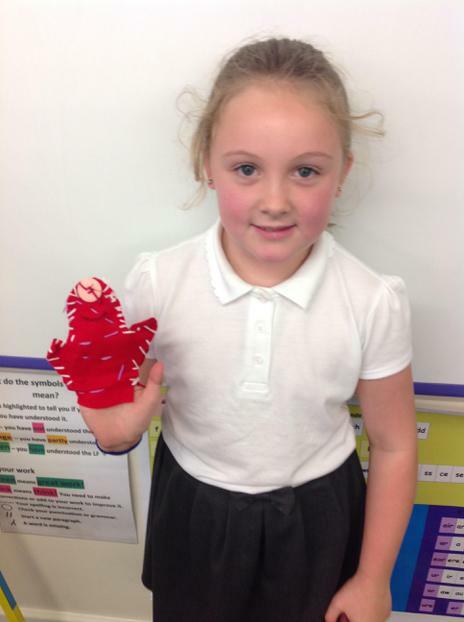 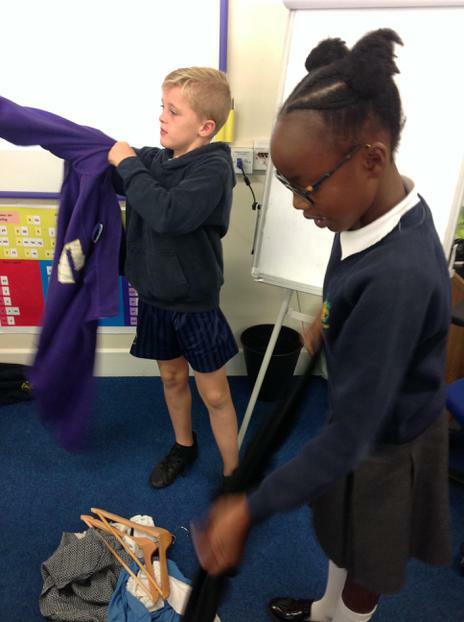 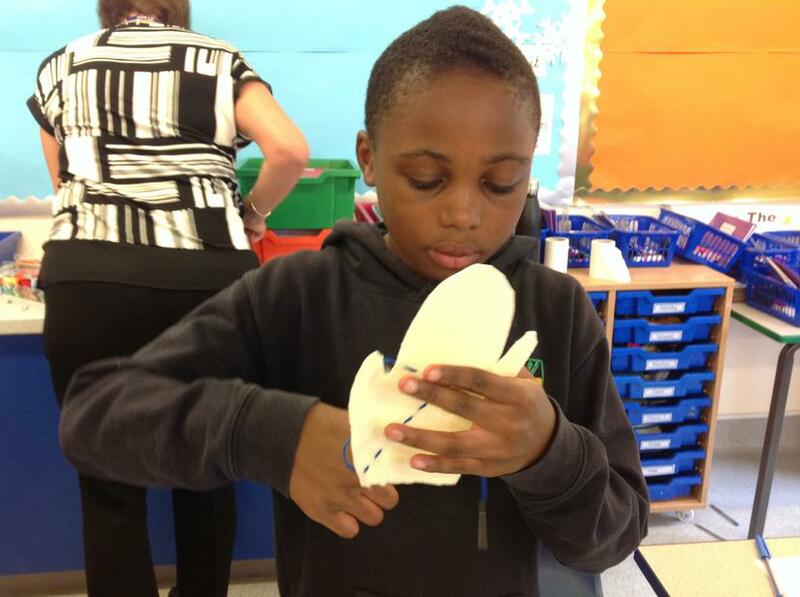 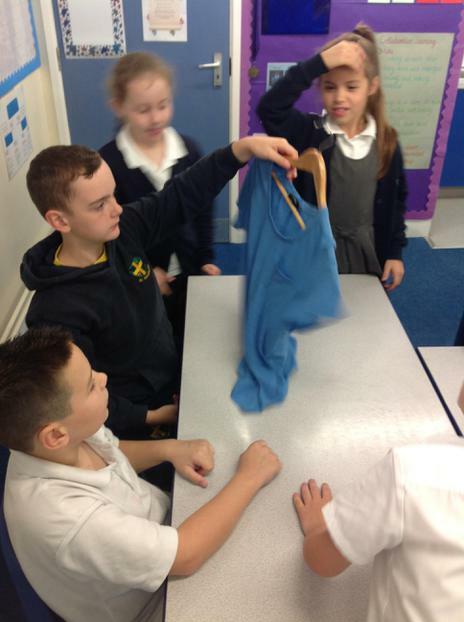 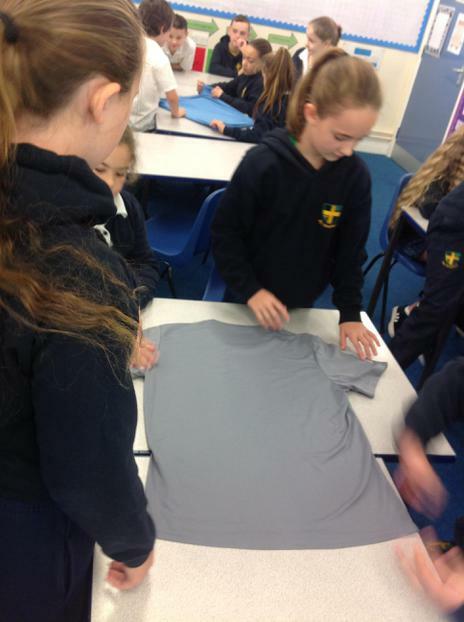 We also learnt how to properly hand clothes - you can test our new skills at home! 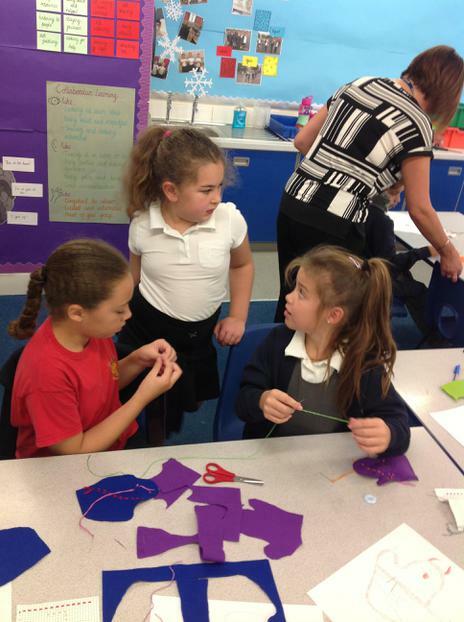 The day then involved learning how to thread and knot a needle (which is much harder than it looks!) 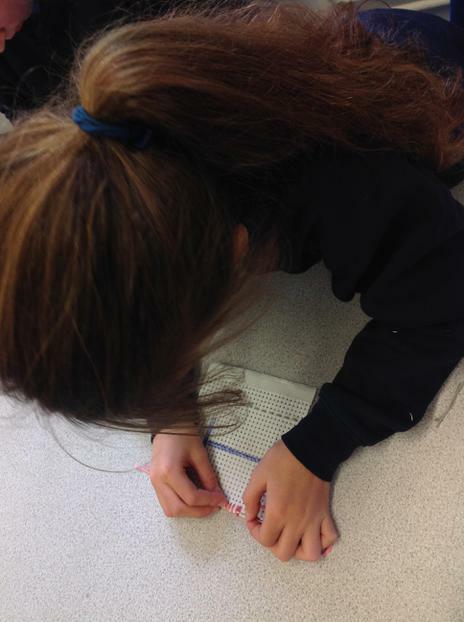 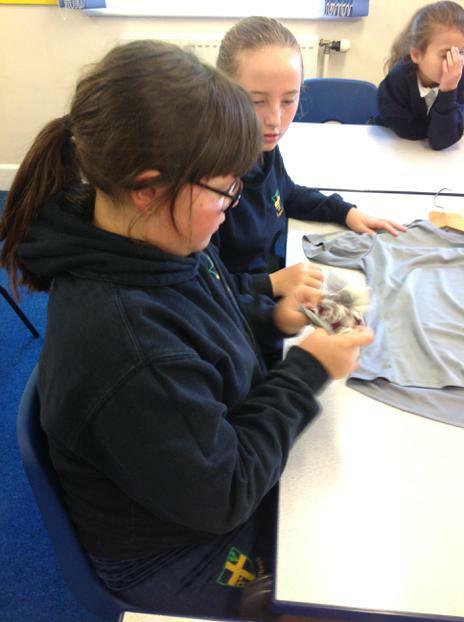 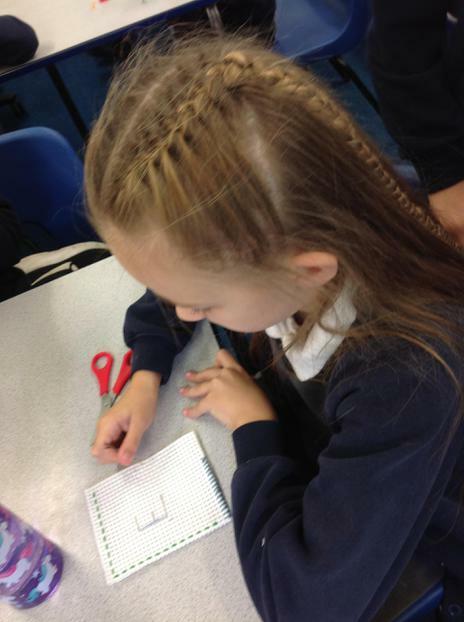 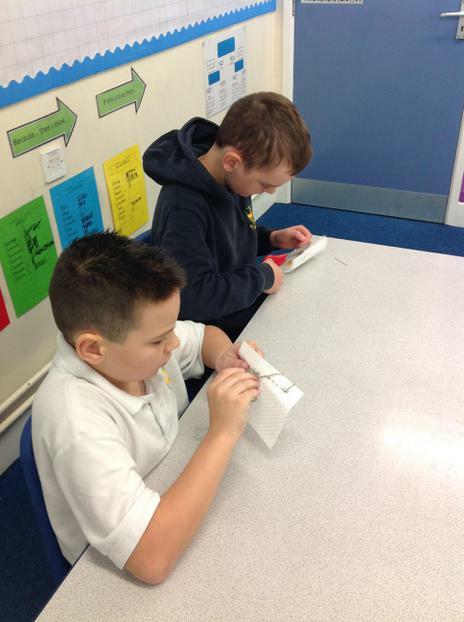 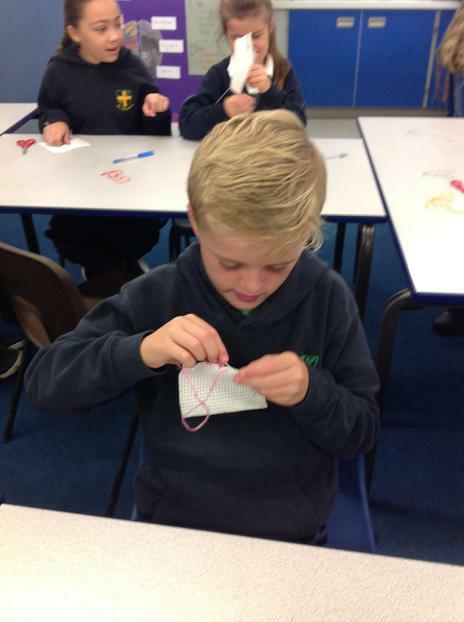 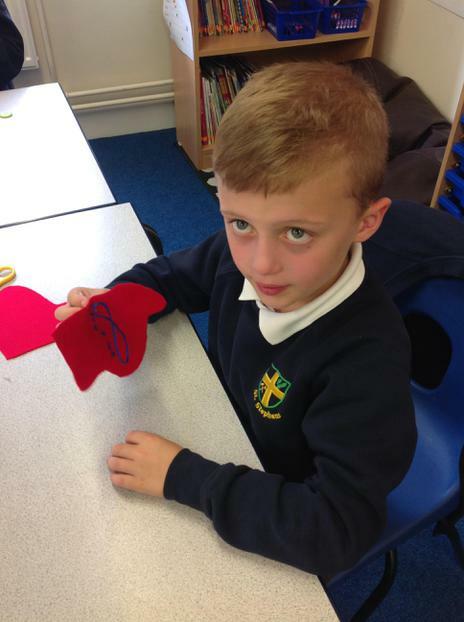 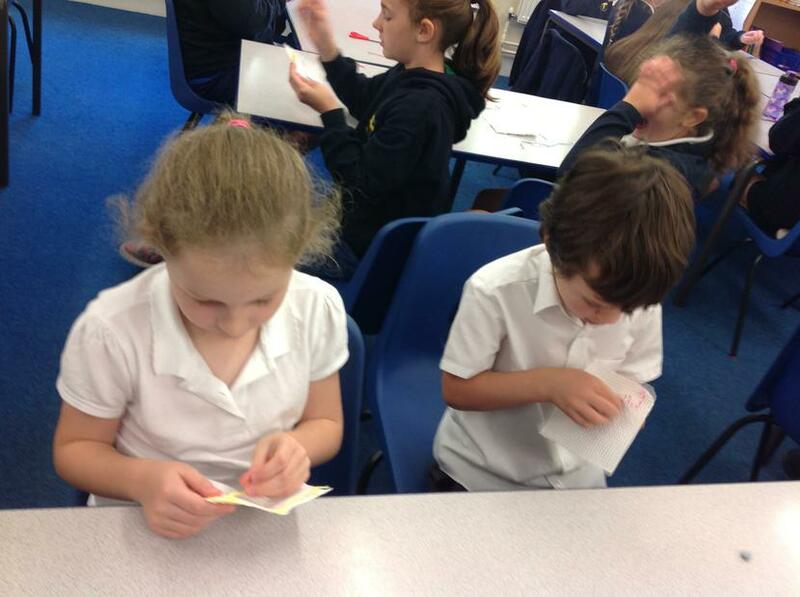 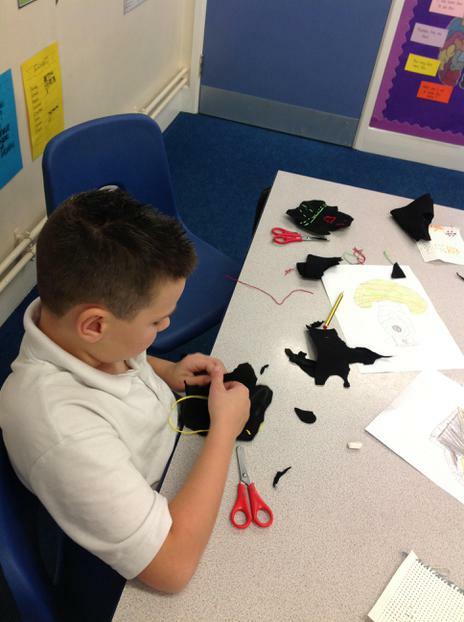 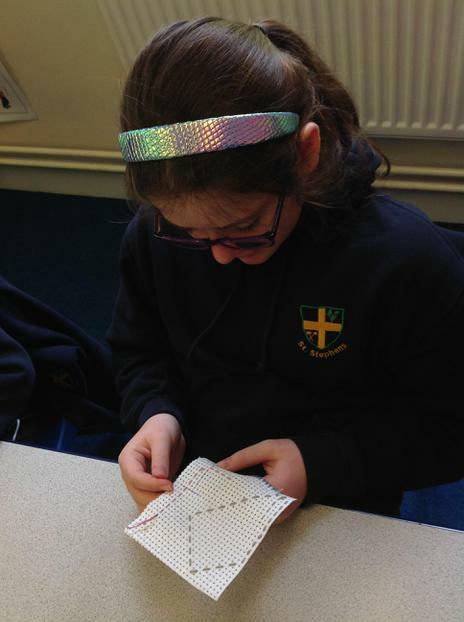 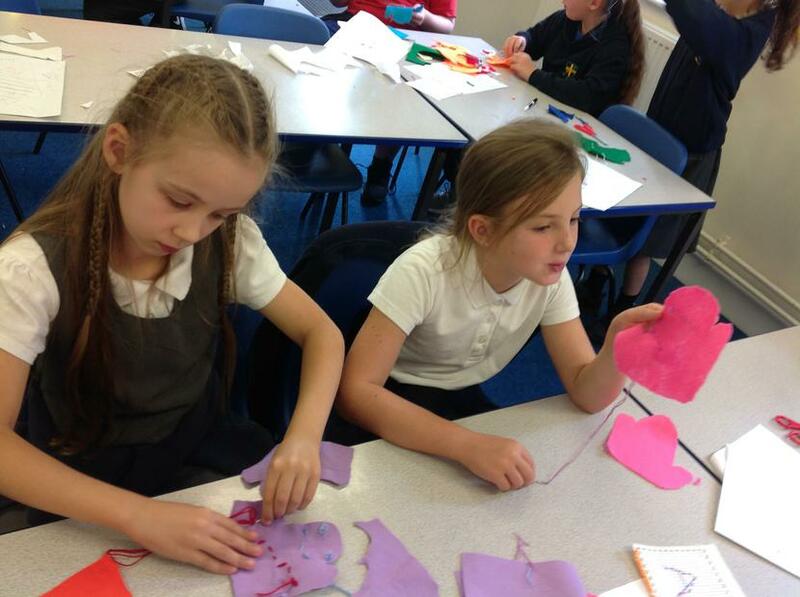 We also learned a range of different stitches to be able hold our clothes or material together, such as running stitch. 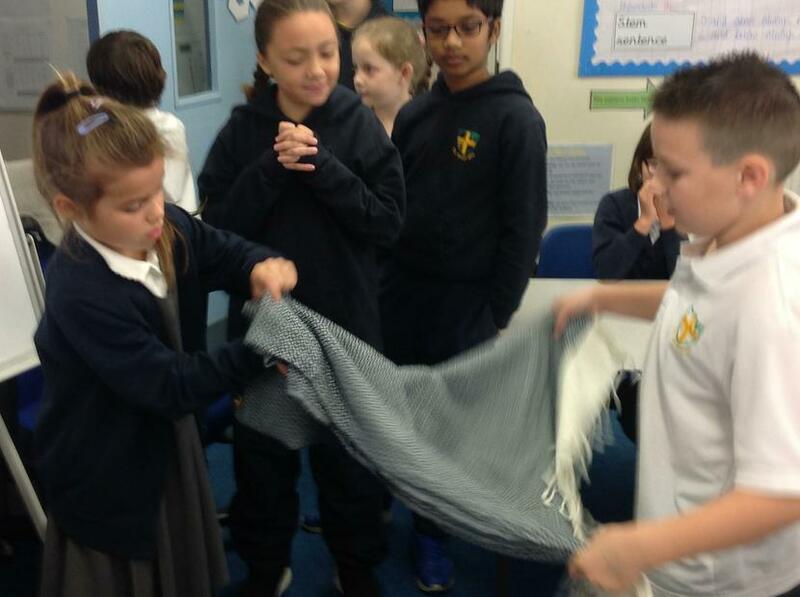 Next, we learnt how to use a whip stitch so that if we had a ripped seam or tear in our clothes, we could mend them. 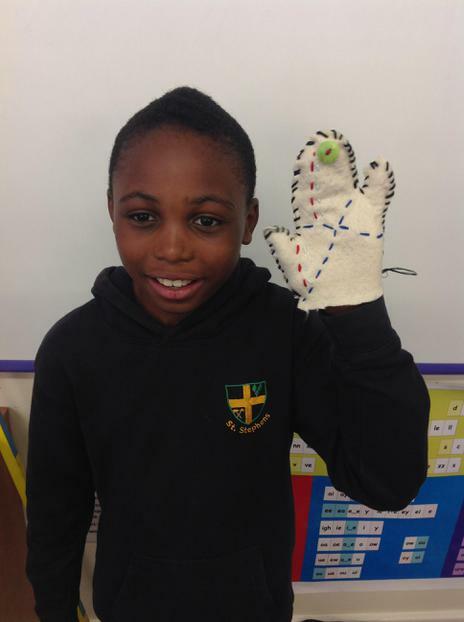 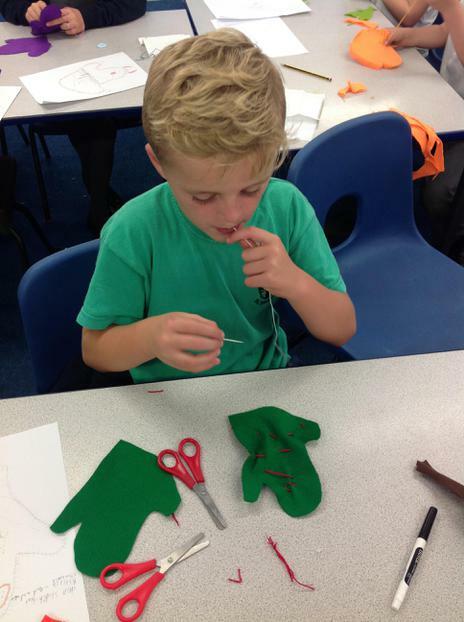 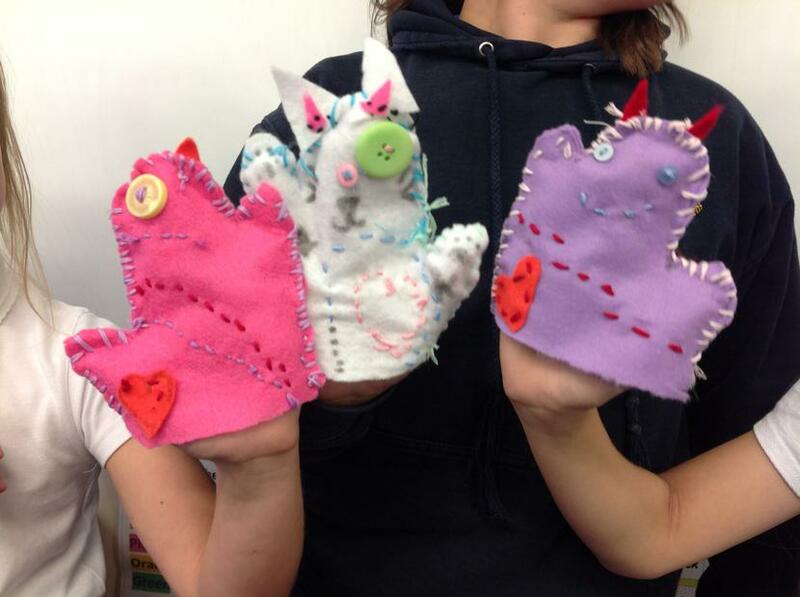 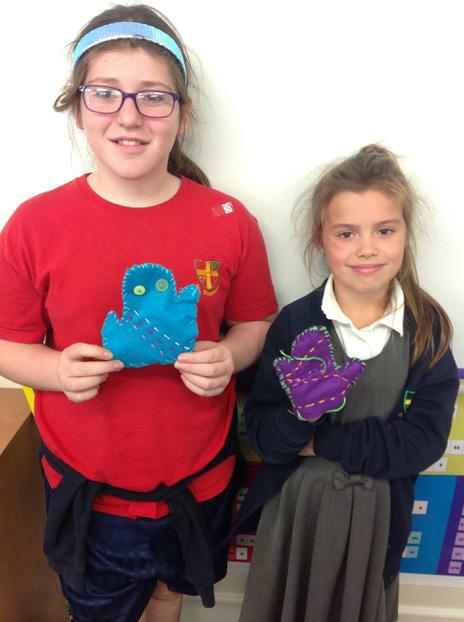 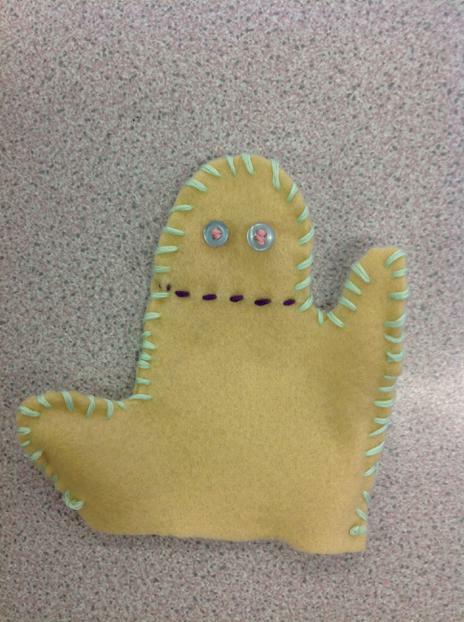 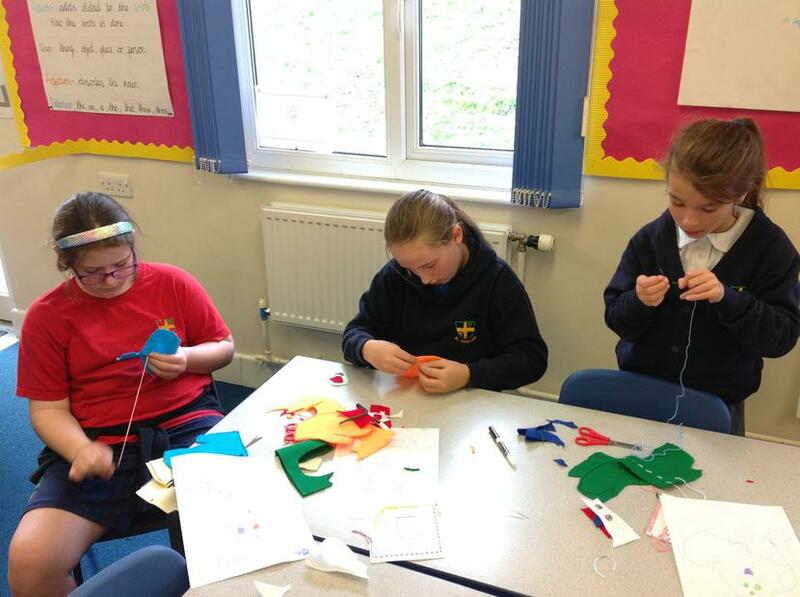 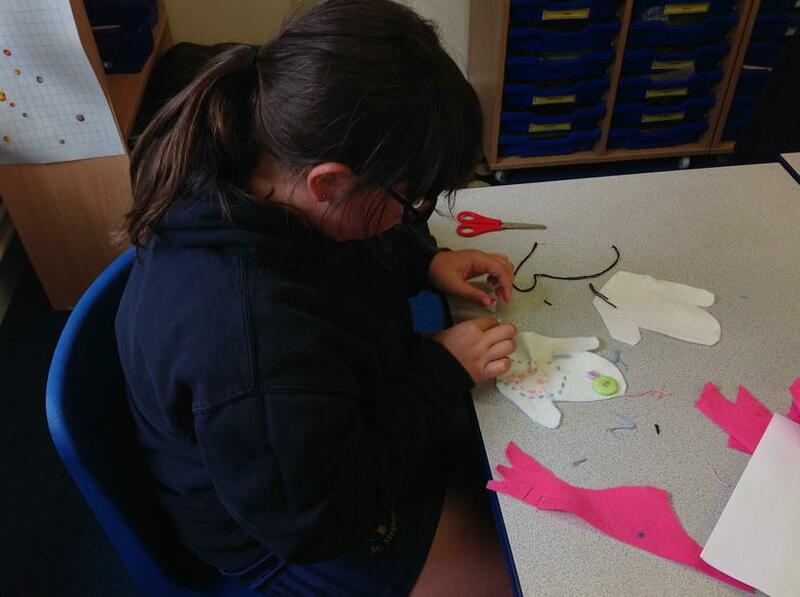 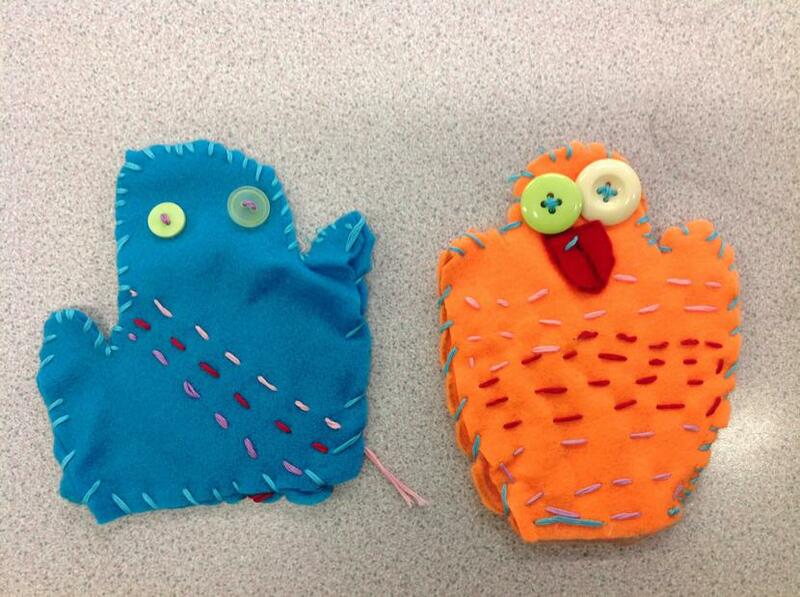 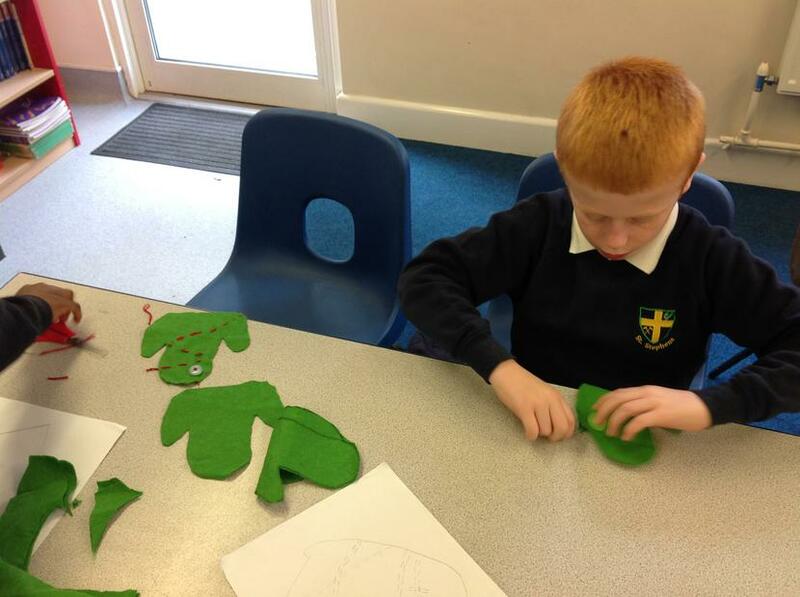 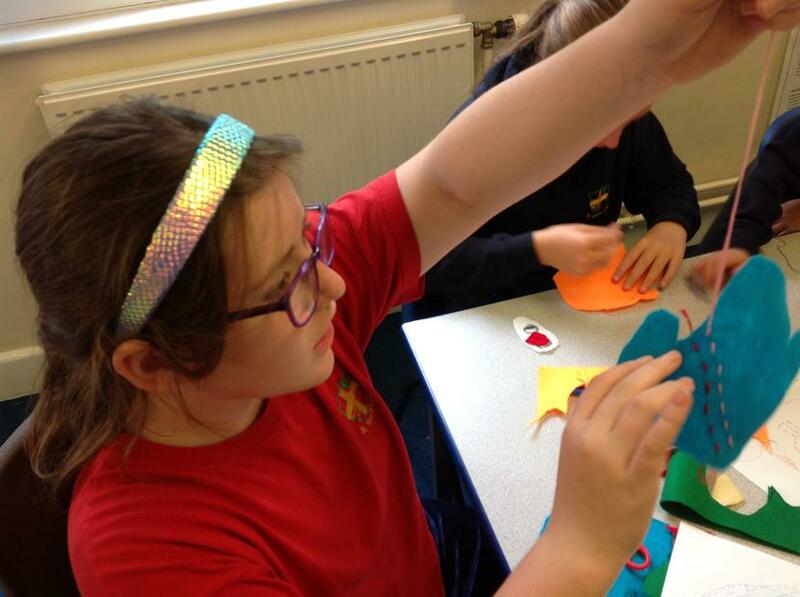 Finally, when we brought all of our skills together, we designed and made our own puppet monsters which had to include some running stitch, whip stitch and even tried to sew on a button! 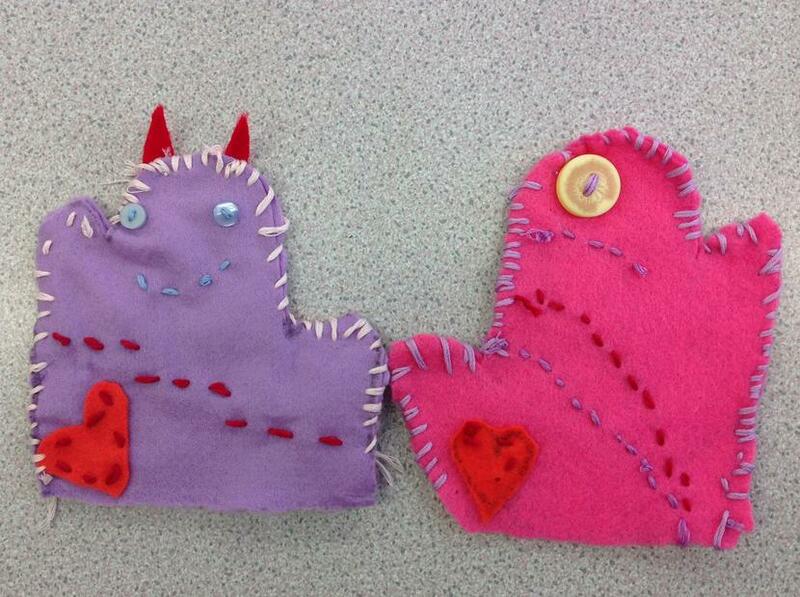 Our fantastic monsters! 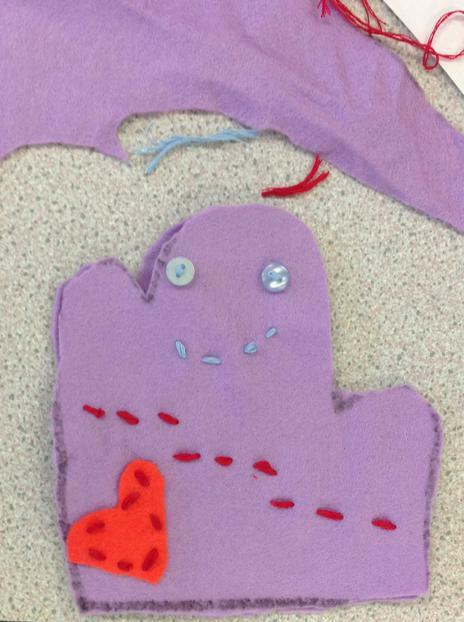 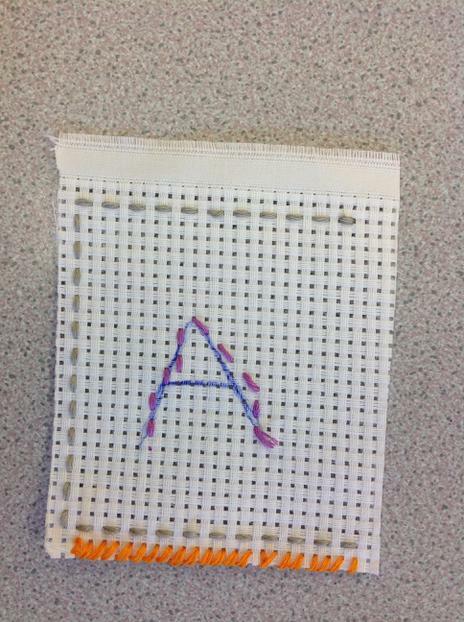 We tried so hard to use the running stitch, whip stitch and to attach buttons.